What: Waffles are an obvious brunch staple. Meat? Another one. Bone marrow? Well… just go with us here. Nothing quite delivers the indulgent richness of marrow, and isn't that what brunch is all about? 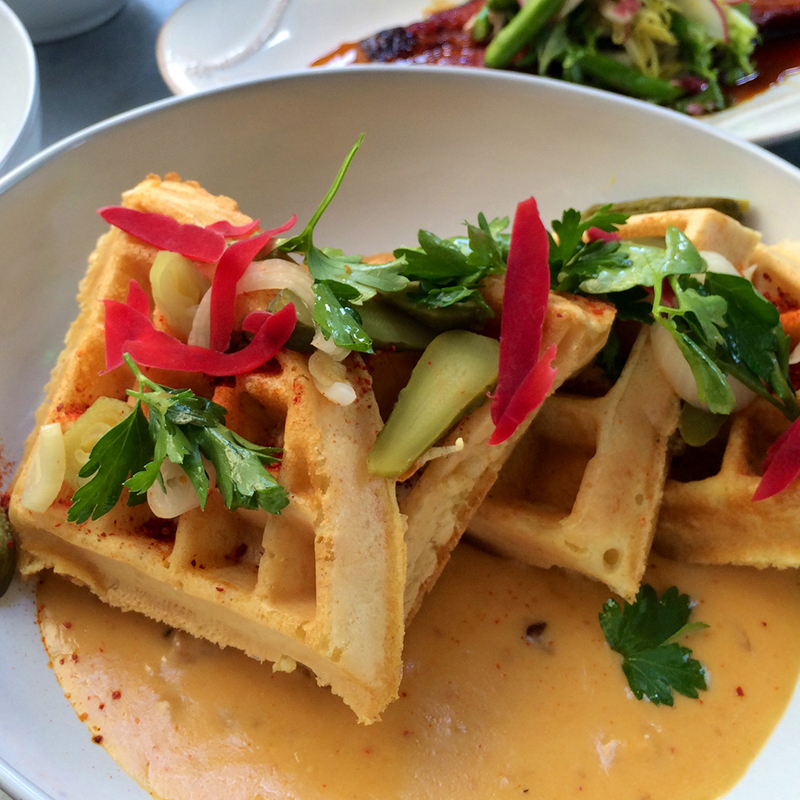 At Faith & Flower, it comes in the guise of Bone Marrow Waffles with Chipped Beef Gravy--that gravy contributing another level of comfort-food satisfaction, soaking in to the waffles' nooks and crannies. To drink: Cheap brunches have done irreparable harm to the mimosa's reputation, but Faith & Flower's "Mimosa Noir" redeems the cocktail with an unusual twist -- rosé Champagne, fresh orange juice, and Bigallet's China-China, a complex bitter French liqueur with gentian and bitter orange.